It's no secret that whitening skincare is huge in Asia. I myself am a fan of luminous, fair skin, and I've tried my fair share of beauty products to help achieve that goal. 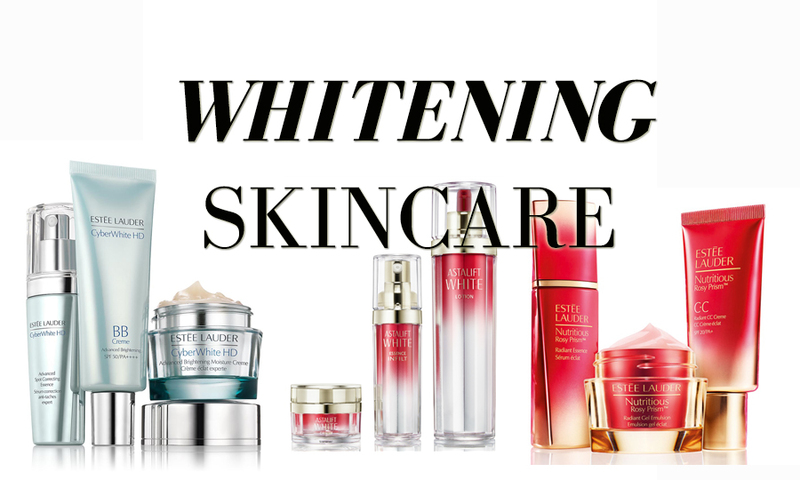 See my previous review of a group of whitening products that I trialled. Here are a few ranges that I think are beautiful, and definitely worth a try. This is a brand new range of skincare by the Japanese brand Astalift, famed for being the brainchild of renowned film manufacturers Fujifilm. I was lucky enough to be able to take back a 30-day trial kit of their entire whitening skincare range, and I am super impressed with the results. The Astalift White range is specially formulated using Fujifilm's expertise in nanotechnology, which means that the particles in this skincare are tiny, and therefore absorb into the skin easily. The range utilises AMAs (an ingredient extracted from a herb) to target pigmentation and brighten the skin. What I adore about this range? It doesn't do just one thing. So many companies produce what seems like hundreds of different ranges of products, targeted at only one specific function, making it difficult to choose skincare when you have more than one skin concern (for me, it's anti-aging, whitening, and spot control). Astalift has one-upped everyone by maintaining their anti-aging focus, and throwing in a pretty effective whitening formula to boot. I experienced clearer, brighter skin, and ease of mind knowing that the ingredients like collagen, vitamin C, and seaweed extract were also working to retain my skin's moisture and elasticity. My favourite products in the range were the Essence Inlift (RM288) and the Perfect UV Protector SPF50 sunscreen (RM158). I highly recommend both these products to anyone interested in trying the range! 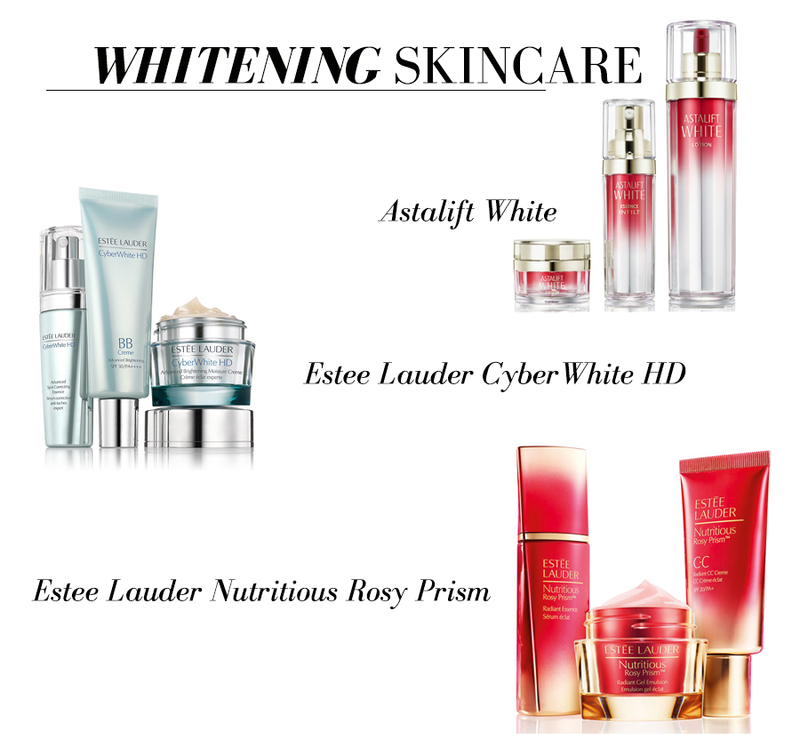 I've used the lotion and essence in this range for quite some time now, and I'm delighted to share with you the amazingness that is the CyberWhiteHD Advanced Spot Correcting Essence. This stuff is just magic in a jar, and has helped immensely in reducing the visibility of my acne scars, which usually take ages and ages to fade. I previously thought that this was a source of breakouts for me, but that has since changed, and I have happily used my CyberWhite essence to its last drop. Now this is not a whitening skincare range per se, but what it does do is boost your skin's luminosity and rosiness, and that's a big step towards my end goal of luminous, glowing, fair skin, in my humble opinion. Created exclusively for Asian skin, this range utilises pink peony extract, an anti-irritant, to help to prevent dullness and yellowing (a major concern amongst Asians) in the skin. You won't suddenly develop rosy cheeks with this range - I feel the advertising is a teensy bit misleading in this respect - but I definitely noticed a new brightness in my skin. Yellow tones can make your skin look quite dull and sallow, so this skincare range can help give your skin that little boost to make it look healthier, more awake, and definitely more luminous. I love that this range also comes with a CC cream (to be reviewed soon! ).